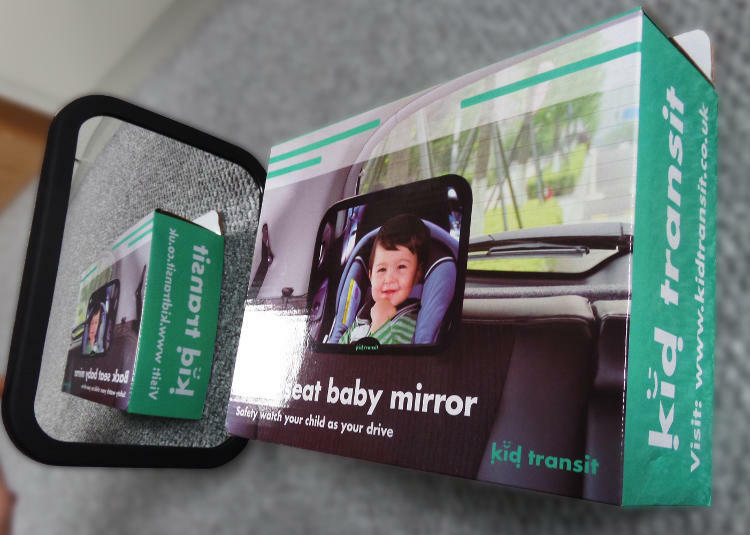 Primary use for the Kid Transit baby car mirror. To enable you to easily see your baby while you are driving. 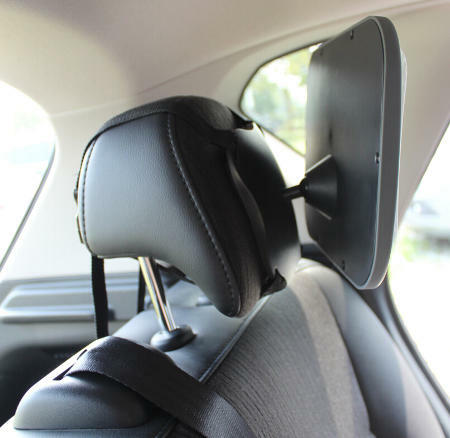 The mirror is designed to easily attach to a rear seat headrest and comes with two attachment straps. The mirror can also pivot so that you can position it perfectly for the best view of your baby. The mirror is specifically intended for viewing your baby while they are in a rear-facing car seat. Secondary use for the Kid Transit baby car mirror. 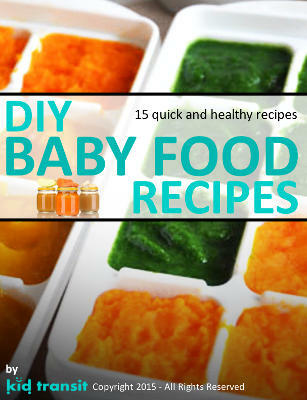 To let your baby see (and amuse) themselves while in the car. If your child is in a forward-facing car seat then the mirror can be attached to the back of the drivers or passengers headrest and angled so your child can see their own reflection. 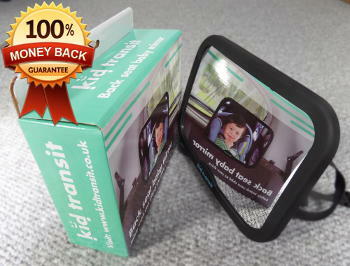 What the Kid Transit car mirror is not!!! The mirror is not a toy and should not be given to your baby/child. While the mirror does not have any obviously dangerous parts (i.e. no removable small parts or glass) it is designed as a tool to aid parents see their children while they are driving and it is not designed as a child’s toy. How to attach the mirror. Firstly, please examine the mirror and if anything looks loose and/or not as you’d expect please get in touch (www.kidtransit.co.uk/contact) straight away. There are two adjustable straps with quick-release catches. The straps can be extended or reduced in length so that they will fit most car headrests. 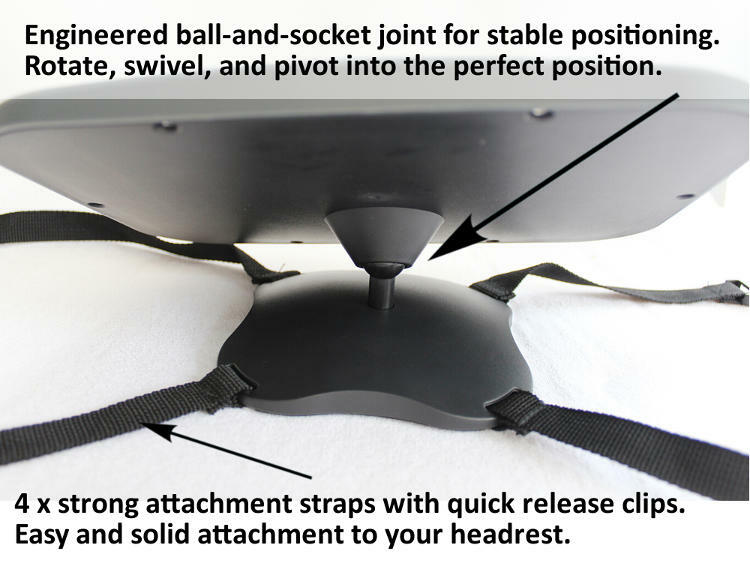 You can position the straps in any way to ensure a solid and stable attachment of the mirror. The two main orientations are with the straps on a diagonal or with the straps horizontal & vertical behind the headrest. See the picture below for these attachment positions. Please ensure that the attachment straps are pulled tight, that the catches are fixed securely, and that the mirror is firmly attached to the headrest. 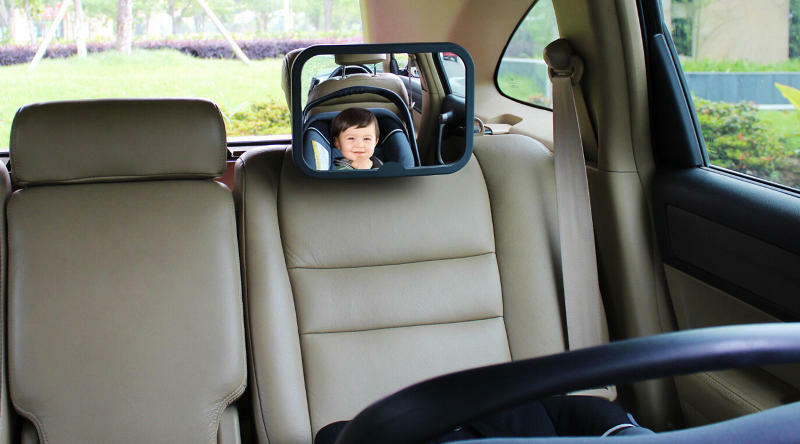 The mirror itself pivots and rotates around a ball & socket joint so that once you have the mirror firmly attached to your rear seat headrest you can angle and tilt it until it is in the perfect position for you to see your baby.